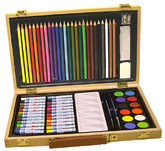 This 60+ piece MULTI-MEDIA Art Set comes in wood storage box with organizer trays. Includes paint, brushes, mixing tray and more. Adorn with succulents. Can be used flat or hung on wall. 10" sq. with 6" sq. opening. Bright brass and chrome finish metal stand is just 3-1/2" tall. Fun filled charm and jewelry making kit for kids. Includes illuminated Fairy Wand!!! PLAYMATES FIGURINE MOLD. Fantastic Details. Mold lasts for many castings. 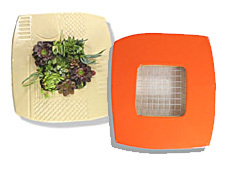 All Other Molds ONLY $3.95 ea. 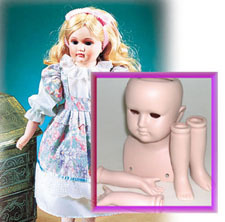 Pre-colored Kits Include Head, Arms and Legs. Choose from 5 kits. Clear Acrylic Glasses with Brass Wire Frames. Choose from Steady-Burning GREEN Only. 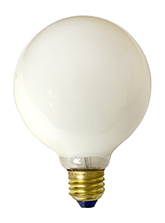 3-3/4" Round opaque white bulb with Edison base. Heart Shape Plastic. Use with our Night Light 393-242-07. Ideal for Halloween, parties, School plays, live theater, Zombi walks and more. Large 35mm (1-3/8") round Wiggly Eyes have flat backs are easy to glue to craft projects. Less than 11¢ a pair. Transparent Faceted Glass with Pointed Back. Let light shine through fwith dazzling results. 11, 15 & 18mm. LOW AS $5.90 per Pkg. Includes Clutch. 5mm (approx. 3/16") Ball includes drop-style hanging loop. For pierced ears. ONLY $12.95 per Pkg/12 pcs. 18" Round. Includes mounting hardware. Ideal for mosaics and other artistic creations.